You are “liked” on FB! I hope I win. I love target. I love target. I hope I win. Gotta love giveaways!! Thank you! I love the unique little gift cards that you put on here! So cute! Thank You! Thank you for another great give away! Love totally target on fb! I have liked you on Facebook for a while. Would to win this! Thanks for the giveaway. I already love TT on FB! It’d be great to win this gift card! Thanks for another chance at a gift card! I love Totally Target and all the work you do. Thanks so much! 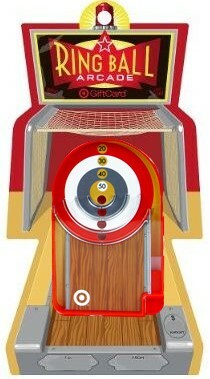 I could really use some Target $! It is getting to be my favorite store. Hope to win! Could really use this:) Love shopping at Target!!! Thanks for all your tips. I already like Totally Target. I could use some excitement. Thhanks for another great giveaway!